CRAWFORD “CHEROKEE BILL” GOLDSBY – Through the magic of Hollywood, the most legendary figures of the old west, both lawmen and outlaws, have almost always been white. In reality, this was not the case, with some of the most well known gunslingers and cowboys of the old west being black. This is especially true of Crawford Goldsby, better known as Cherokee Bill, one of the most ruthless outlaws of his time. Born in Texas in 1876, Cherokee Bill was the son of a former Buffalo Soldier and a Cherokee Freedman. 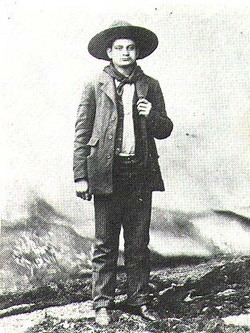 Cherokee Bill started his life of crime at age 18, when he shot another man in a dispute. He joined up with outlaws Bill and Jim Cook, and in the summer and fall of 1894, the Cook Gang terrorized much of Oklahoma, robbing and killing with little discretion. The gang split up in late 1894, and in January of 1895, Cherokee Bill was captured. His subsequent trial resulted in a death sentence, and on March 17, 1896, he was sent to the gallows. The day Cherokke Bill was set to be hung, he left behind two lasting memories for his legacy. Legend has it that when Cherokee Bill woke up on the morning of March 17, he said, “This is as good a day as any to die.” When he was taken to the gallows, and asked if he had any last words, Cherokee Bill stated for the record, “I came here to die, not make a speech.” He was dead a few minutes later at the age of 20. Check Oscar ‘Race’ – my latest article on MSN. I weigh in on the nominations of The Blind Side, Precious, and how the Oscars and Hollywood deal with issues of race and racism. Click HERE to read the article. GEORGE DIXON – Canadian boxer George Dixon became the first black man to win a boxing championship. Born in 1870, Dixon began fighting at age 16, when he weighed only 87 pounds and stood 5’3”, earning him the nickname “Little Chocolate.” His career spanning twenty years and 104 fights (he had 44 fights in 1893 alone). 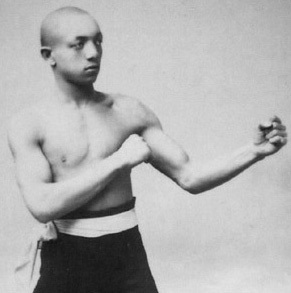 Dixon won the world bantamweight championship in 1888, and in 1891 Dixon took the world featherweight title. Jack Johnson would go on to become the first black world heavyweight in 1908, after beating Tommy Burns. 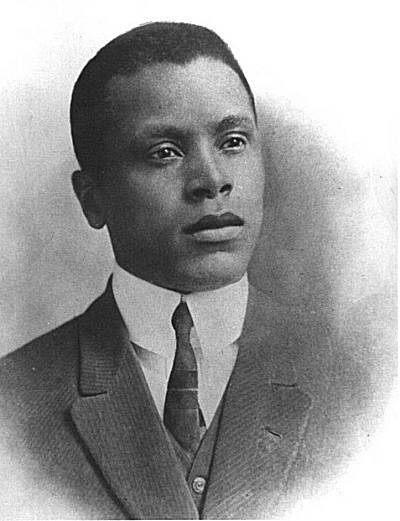 Before Johnson took the title, black fighters were not allowed to fight for the world championship, and instead had to vie for the “Black World Heavyweight Championship,” a title Johnson won in 1903. In 1910, former champion James Jeffries, known as “the Great White Hope,” came out of retirement to take the title back for the white race. Johnson destroyed Jeffries in “the Fight of the Century,” and his victory set off race riots. The fight had been filmed, as many prizefights were in those days, but it was felt that Jeffries’s defeat was so demoralizing the white population that Congress banned the exhibition of all prizefight films. The ban lasted from 1912 until 1940. The documentary Unforgivable Blackness – The Rise and Fall of Jack Johnson is an excellent source of information on the fighter’s life and career. You can order the DVD by clicking HERE. 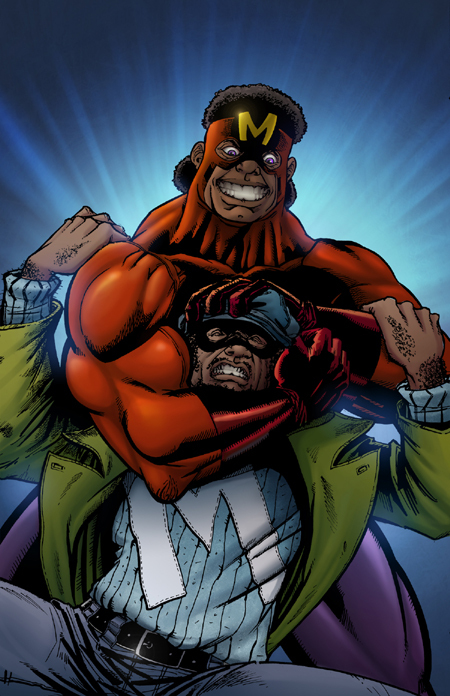 It is with great pleasure that I announce MAD MAULER, the latest collaboration between myself and artist Robert Lover. MAD MAULER will be part of the POPGUN COMIC ANTHOLOGY, VOLUME 4, which arrives in stores next week. The last time Robert and I collaborated was BLIND MONKEY STYLE, which appeared in POPGUN, VOLUME 1. Order POPGUN 4 by clicking the banner below, or clicking HERE. Order POPGUN 1 by clicking HERE. 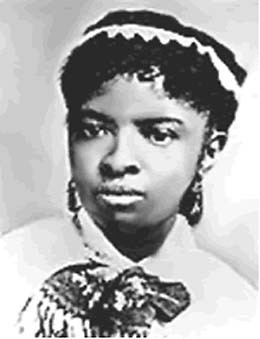 MARY MAHONEY – In 1873, Mary Mahoney of Dorchester, Massachusetts, graduating nursing school, making her the first professional trained black woman to become a nurse. Mahoney was not the first black woman to provide health care. Jamaican-born Mary Seacole was a nurse, known for her service in the Crimean War (1853-1856), and during her time was regarded alongside legendary nurse Florence Nightingale. And while black women like Seacole practiced medicine in various different capacities for centuries, Mahoney was the first to become a licensed nurse. She was also a supporter of the women’s suffrage movement, and one of the first women in Boston registered to vote. Mabel Keaton Staupers became a nurse in 1917. Three years later, she helped found the first hospital in New York. Staupers was an advocate for desegregation, leading the charge for the integration of black nurses in the both the armed forces and the private sector. 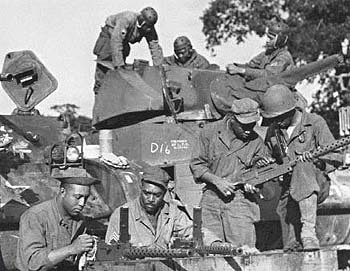 761st BLACK PANTHER TANK BATTALION – All branches of the United States Military were still segregated during World War II, but it was during this time special all-black units were formed, despite the belief that black soldiers were inferior to whites. 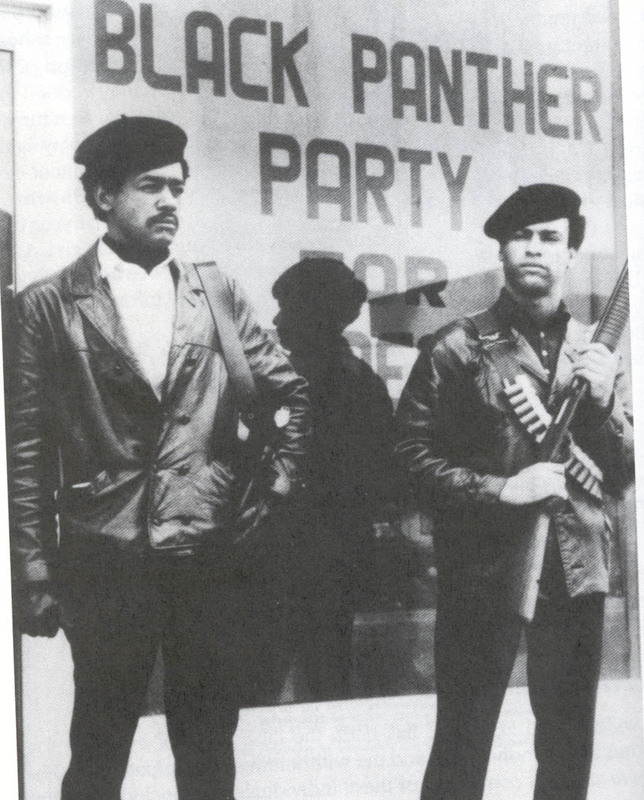 Among the all-black combat units to be activated, few are more legendary than the 761st Black Panther Tank Battalion. Deployed in Europe in 1944, the 761st became known for their fierce fighting abilities. Of course, they had to be fierce, as they were often used to spearhead attacks, making them the first in the line of fire. The 761st successfully opened a hole in Germany’s Siegfried Line, making room from Patton to lead the 4th Armored Division into Germany, which helped win the war. The 761st fought valiantly through much of Europe, and at the end of the war, they were among the first of American forces to join with the Russians in Austria to liberate the concentration camps at Steyr. Jackie Robinson had been in the 761st, but he was transferred out and faced a court-martial after refusing to sit in the back of a bus during the unit’s training in the south. The racism that Robinson stood up to was a regular occurrence for the 761st and other all-black units in the military. 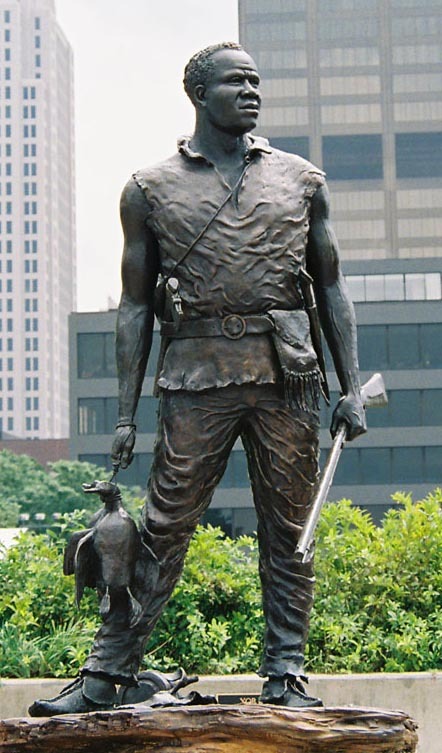 YORK – The Lewis and Clark Expedition to explore the western territories of the United States is a part of history most children learn in school, including the participation of Sacajawea. But most kids never learn about York, a slave owned by William Clark, who was a valuable member of the expedition—and even saved his master’s life at one point. 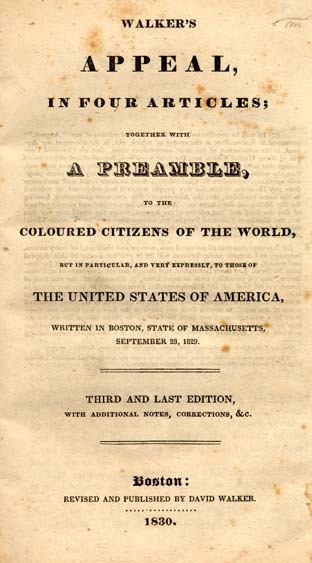 During the two-year adventure, York was afforded the same rights and freedoms as the other members of the party, and his contributions are recorded in the expedition journals. Some historical accounts claim that Clark promised to set his slave free at the end of their journey. Clark never made good on his promise, and after the expedition York was once again treated as property, and a second class citizen. He was kept from his wife, a slave owned by another man. After enjoying freedom during the expedition, York did not take well to being a slave again, and Clark resorted to beating his slave for being “insolent and sulky.” There is no official record of York’s ultimate fate. Some believe he escaped to freedom, others believe Clark finally set him free, and others believe he died a slave. You are currently browsing the BadAzz MoFo blog archives for February, 2010.